Two Cents-a-Meal invites everyone of any age prayerfully contribute a few cents at each meal to help alleviate hunger and poverty. We collect this contribution on the first Sunday of every month. This is a great teaching tool for children on saving over time and giving. The name says Two Cents-a-meal but any amount can be given. 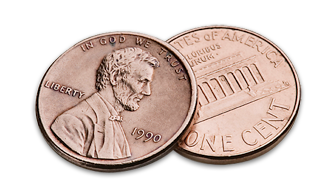 Two Cents-a-Meal is part of the PC(USA) Cents-ability project.